Very great place for a good price. I really like the way the beds in the shared rooms are designed so that each bed is its own private space. Perfect for a good night's sleep! The location of HBB was fantastic. Close to nightlife and an easy enough walk to the metro line. The staff at HBB were fantastic and made us feel very welcome. The staff was the most welcoming hostel staff I have ever met during my travels. The hostel was very clean and modern. 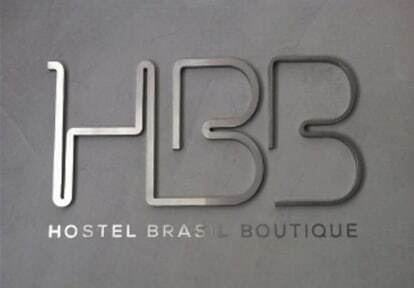 I would definitely recommend staying at HBB to anyone travelling in Sao Paulo. Friendly guys working there! Great location, comfy beds, clean rooms and bathroom. A small but cute hostel. Beds were clean and comfortable. Breakfast was good with eggs provided (which is rare!). The place needs a bit of maintainence as it looked a bit more run down than the photos but it is cleaned daily. Neighbourhood is really fun and feels safe! Good location. Very comfortable dorms! Quality hostel that was well worth raising the budget for. In a great location at heart of Vila Madalena so easy to get to the nightlife as well as central Sao Paulo. Staff were fantastic - providing day itineraries, taking guests on nights out, and even baking cakes for breakfast! Bar was a little short of stock, which was disappointing, and I'm not a fan of the 'no beer from outside' policy in such circumstances. Rooms were clean, modern and plenty of luggage space. Bathrooms brand new. The beds were comfortable and everything is clean. The breakfast was good: I liked being able to make my own eggs-how I like them :-) Bathroom was clean but having to go outside to use it in the middle of the night, in the rain, was a bit of a pain. Staff were helpful and friendly when approached (the girl who welcomed us late at night was such a nice person!) but at times it did feel like as a guest you were intruding in their space... However comfy beds and good aircon means I would recommend!